Hordern Pavilion has been part of Sydney’s entertainment landscape for nearly 100 years. It was constructed in 1924 to offer vendors more exhibition space at the Royal Easter Show and then morphed into one of the largest live entertainment venues in Sydney. From Oasis to Coldplay, One Direction to the Wombats, the names of the stars and rock and roll groups that performed at Horden Pavilion are as legendary as the edifice itself. The biggest stars in nearly every decade in the latter part of the 20th Century has performed here. Fran Sinatra, the Jackson Five and Nirvana, to name a few, have all thrilled their Aussie fans from the Hordern’s stage. Hordern Pavilion also holds the distinction of being the birthplace of the Australian rave scene in the late 1980s and early 1990s. Hordern Pavilion is a concert venue, so there isn’t a chance for a sit-down meal here. However, being a stone's throw away from the Entertainment Quarter and just 10 minutes away from the CBD means that there are a plethora of restaurants one can visit before or after a show. If that doesn’t suit, the Moore Park area, in which Hordern Pavilion resides is filled with restaurants cafes and bars. Nevertheless, Hordern Pavilion does have hot food, snacks and drinks for sale from the bars foyer and pavilion. The Hordern’s website has the proud declaration that “Everyone has a story from the Hordern!”. So create your own story today! 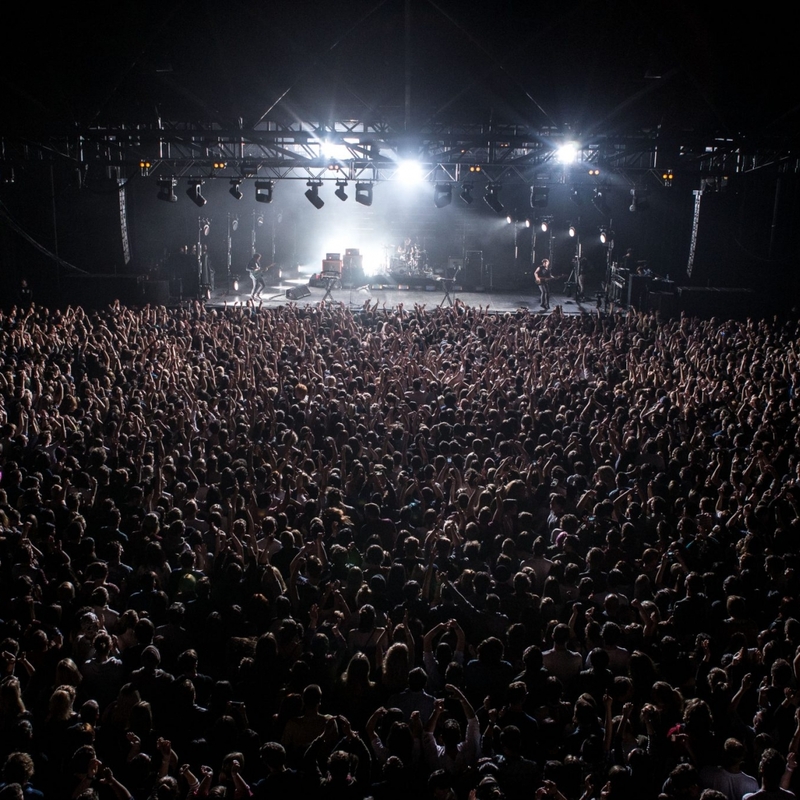 Hordern Pavilion is a two-minute walk from Sydney’s Entertainment Quarter. Buses leave from Circular Quay, Martin Place, St James Museum, Railway Square, Central Train Station, Bondi Junction, Newtown and Marrickville that take you straight to the Entertainment Quarter. You can also hop on the Boni Explorer and the Metro Bus. Check Schedule for departure times and bus numbers.